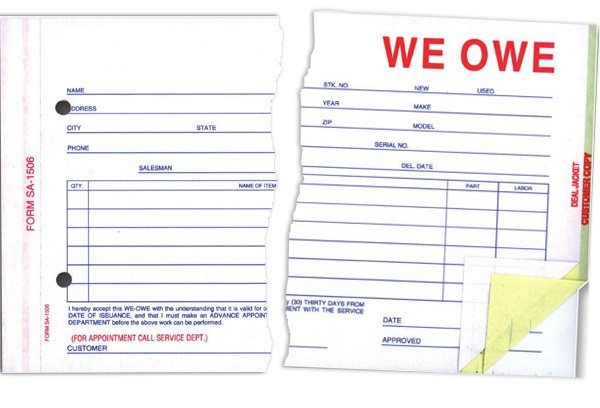 The we-owe document is a staple of the automotive world. This invaluable document originated out of a need to protect both dealer and customer, but stacks of paper documents leave both parties wanting. Documentation is the key to professionalism and protection, so why take any risks when it comes to such an important step in the sale? Effectively protecting the dealership’s interest and providing that same comfort for your client saves time and confusion for all involved. It’s time to bury the paper we-owe for good. As a best practice tip, Insignia recommends using one of your necessities, the we-owe, as an easy, low-pressure lead in to personalization. This electronic version prevents loss, and creates easy cross departmental communication. Lead In | Explaining what is (or isn’t) owed to the customer as you register them into the system creates a relaxed environment. 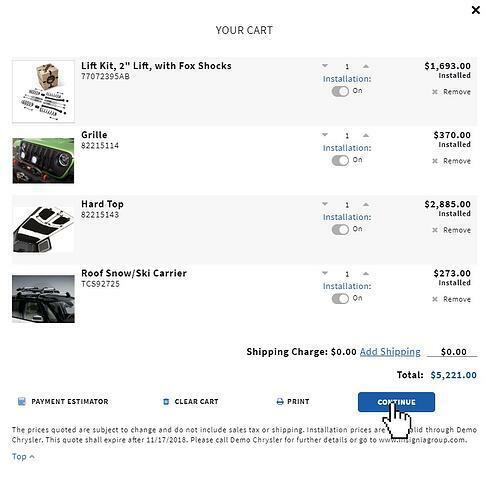 Simply enter notes into the electronic we-owe and add that guarantee to the cart. Now your customer is ready to personalize their vehicle and is familiar with adding an item to the cart. Starting off with we-owe takes the stress of another sales presentation off of the customer, creating the shopping environment you need to sell accessories. Prevent Loss | We all know papers get misplaced or messed up. So why does it keep happening? An electronic we-owe allows for file backup, doesn’t take up space in your office, and is time stamped. Should a question or dispute arise on either end, the terms of your original agreement are easily accessible and proven. It’s a win for all involved. Improve Communication | When an electronic we-owe is added into the shopping cart, every department you choose receives a copy. Even customers who decline personalization can be registered into the system for a declination form and electronic we-owe. Sales, parts and service all receive the same message and have access for future reference. Your customer is copied via email, receiving the same information for their own records. Confusion eliminated. We-owe forms aren’t going anywhere, but paper trails are on the way out. Save yourself a lot of hassle and switch to electronic we-owe. Your dealership and your customer will benefit.